Who will care for Crimean Estonians? Krimmi eestlaste ühenduse juht Olga Skriptšenko näitab Rossiiskii Domi ja Impressumi klubi kingitud eesti- ja venekeelseid raamatuid Eestist. There are a couple of thousand people in Crimea who see themselves as Estonians or their descendants. Though a minority of them speak Estonian, quite a few stand for the local Estonian culture. Eesti sinimustvalge Simferopolis kõrvuti alates 2014. aasta kevadest de facto Venemaa koosseisu kuuluva Krimmi Vabariigi lipu ja Venemaa Föderatsiooni trikolooriga. Foto Rossiiskije Vesti vahel ilmunud Krimmi eestlaste lehe esitluselt. Krimmi eestlased tänavu märtsis Simferopolis Rossiiskije Vesti vahel ilmunud sealsete eestlaste lehe esitlusel. Rossiiskije Vesti peatoimetaja Dmitri Jermolajev. Up until March 2014, Estonian state, all sorts of ASBLs and Estonian private persons supported the Crimean Estonian community rather actively: they had their own newspaper, a teacher of Estonian worked at Aleksandrovka School as financed by Estonian state, all kinds of memorial plaques were being set up in locations related to Estonians, and visitors from Estonia abounded. It’s different now that Crimea was annexed to Russia while Estonia keeps considering it a part of Ukraine. Therefore, from Tallinn point of view, any support may only be via Ukraine. This, Russia will not allow and requires us to have official recourse to local Russian powers. In this instance, that does not make much difference as Estonian state cannot officially support the hundreds of Estonians in Abkhazia (nobody knows the exact figure). And yet, unofficial channels have been found to send study materials for children and the like, to Salme and Sulevi Villages. The entire time, Abkhazian Estonians have participated in Song Celebrations in Tallinn and none has posed that as a problem nor asked them whether they are for Tbilisi Sukhumi. With Estonians in Crimea, such good unofficial contacts have proven elusive. Estonian foreign ministry has tried thru its Moscow embassy but as our state is rigid in its approach, to no great avail. Possibly, the Crimean Estonian leaders have not been too enthusiastic to find unofficial channels. Perhaps, some personal interests are involved. (The leader of Crimean Estonians Olga Skriptšenko is remarkably active, holding meetings on behalf of Crimean Estonians even at upper house Duma level.) Maybe the Estonian side does not like their active cooperation with Russian authorities in Crimea and the fact that officially the Estonians in Crimea fully supported it becoming part of Russia. Humanly, though, this is understandable, if for the reason that in the current circumstances it would be very difficult for them to live in Crimea as Ukrainians – they would either have had to leave or dwell with the awareness of running into problems any moment. It is always easy to teach from a distance. 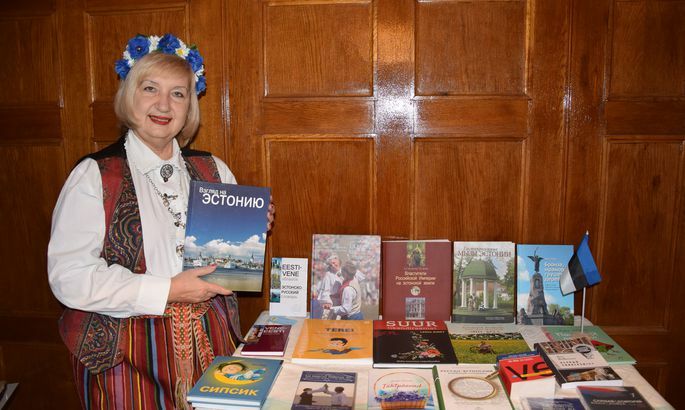 At the beginning of the year, the Tallinn based club Impressum in cooperation with national heritage centre Rossiiskii Dom in Moscow gave Crimean Estonians a large amount of books. Ms Skriptšenko said these were mainly school textbooks, dictionaries, phrasebooks, as well as books on handicraft, Song Celebrations and Estonian folk customs. Plus a large number of DVDs of the latest Song Celebrations in Tallinn. On top of that, Rossiiskii Dom in tends to financially support Days of Estonian culture in Bahtšisarai Region, Crimea this August. Already twice this spring, the weekly paper Rossiiskiye Vesti standing for rather imperialist views like Novorossiya, has published a four-page insert «Crimean Estonians». Krimmi eestlased – these are the only two words therein in Estonian. 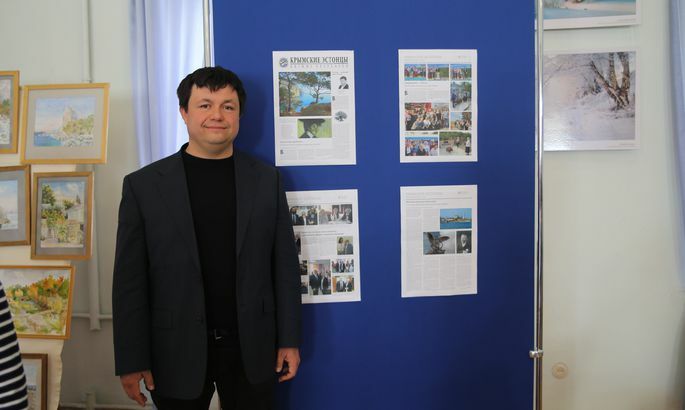 The opening edition came with greeting by editor-in-chief Dmitri Yermolayev: «In connection to Crimea returning to Russia in 2014, Crimean Estonians also integrated into the friendly family of Russia’s nations. /.../ Estonians have always been and will continue to be an indigenous Russian nation.» Namely, Yermolayev supports the concept that all nations who ever dwelt in Czarist Russia or USSR ate compatriots in the eyes of Russia and thus Russia is obligated to be involved with the development of their languages, culture and history. In the 1990ies, Rossiiskiye Vesti belonged to the administration of the Russian President and was distributed across Russia with print run close to a million. By now, all that is left is a weekly of 500 copies, published by Yermolayev basically as a hobby. Interestingly, officially the paper continues to be information partner to Russian federal security service FSO responsible for protection of Russian leaders. A self-described political technologist, Mr Yermolayev worked in Russian embassy in Riga for three years at the beginning of 2000ies and says his main task was dealing with oil transit in Port of Ventspils. Not limited to publishing the «Crimean Estonians», he intends to write an alternative discourse on Estonian recent history. His approach is based on the «four republics» concept (as opposed to the one republic concept officially held in Estonia – edit) of Commune of Estonian Proletariat which existed for 52 days from November 1918 to January 1019, the Estonian Republic 1918–1940, the Estonian SSR in 1940–1991 and fourthly the current Estonian Republic. Mr Yermolayev named the commune first in time as «idea of the Commune was declared earlier». To me Mr Yermolayev admitted a book like that would obviously be difficult to sell in Estonia but «here [in Russia] we are having a market formed for such literature». He was having Estonians in Russia in mind, as potential readers. Naturally, any Estonian society abroad will decide for themselves whose help they will receive. To the same degree, Estonian state is in turn obligated to at least offer its help, finding a way to do it. One is supposed to care for one’s own. That, Mr Yermolayev does understand. 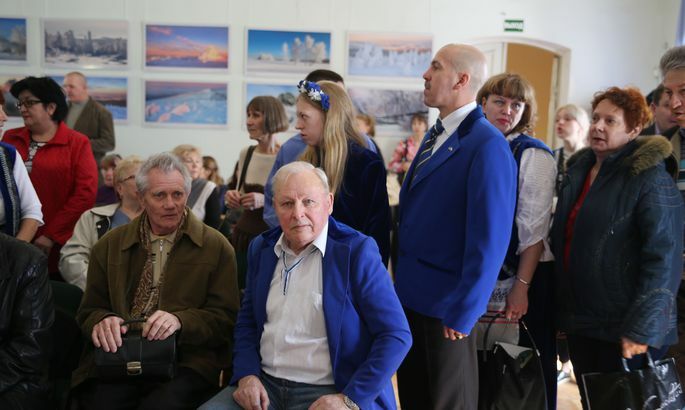 «I hope someday Estonia will again be supporting its compatriots,» he told me in Moscow. Ideally, supporting Estonianhood the world over ought not to depend of the political situation in a region or which political trend is supported by the local Estonians. What should matter for Estonia is to see that Estonian culture not die out in communities abroad. Take Israel, for instance: till today they are going via various schemes to publish a Newspaper in Hebrew in Crimea though like Estonia, Israeli state does not recognise Crimea as part of Russia. Potentially, Crimean Estonians could be supported thru creating some nongovernmental structure or use an excising ASBL. 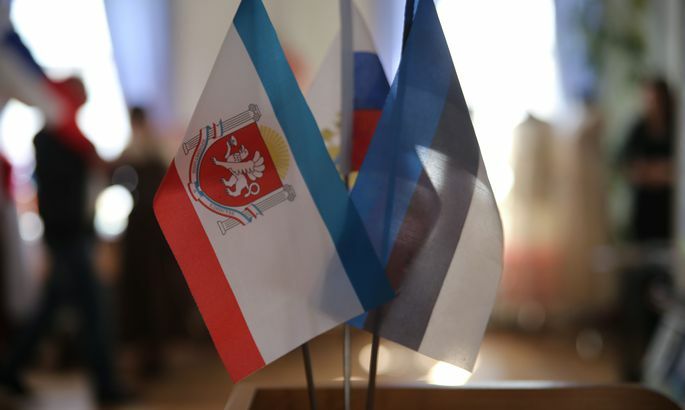 Otherwise, the largest Estonian community to our East will be without homeland support for quite some time as the status of Crimea is unlikely to be solved near-term.